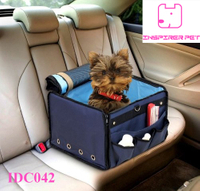 Inside Standing Dimensions: 14" x 13"
Removable comfy padding measures 14" x 13"
For Small Size Pets up to about 10 pounds. 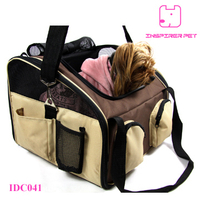 1) Enjoy traveling with pet for a pleasant and relaxing trip. 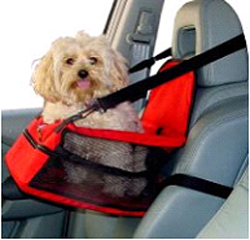 2) Keeps pet safe and contained while owner can focus on driving. 3) Plenty of Ventilation provided. 4) Secure Leash Strap that attaches to collar or harness. 5) Cleans with a damp cloth and made with Durable 600D Polyester Fabric. 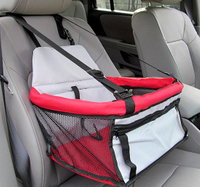 6) Adjustable straps and back flap that securely straps on car seat belts. 7) Folds away in seconds for compact storage.